Live the dream. Learn to fly. Ocean Aviation Flight Academy is your best choice For professional flight training. 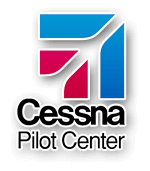 Our Accelerated ProPilot Course is a zero hour to commercial pilot program that prepares students for a career as a Professional Airline Pilot. Start with zero hours and complete in as little as eight months with your commercial pilots license in hand. With our career placement assistance, you can be assured of a bright future just ahead. We also offer our Private Pilot Course, Instrument Rating Course and Flight Instructor Courses for those seeking to fly for business or recreation. No matter which program you chose, you can be assured that your flight training will be conducted in a friendly professional environment. Your Private Pilot License is the most important rating you will earn. The instrument rating is essential for pilots seeking a career in aviation. By attaining your commercial pilot certificate, you are ready to be paid to do what you love. The flight instructor certificate, for most commercial pilots, is the beginning of life as a commercial pilot. Custom Tailored for the Student that started their training elsewhere and can't seem to "Finish Up." Let Us Help You to Achieve Your Goals. Give the gift of flight experience with one of our scenic tours or discovery flights! For Discovery Flight, TSA Regulations, Must be United States Citizen. Must present curent US Pasport or Birth Certificate and Government Issued Photo ID (Driver’s license-Student ID) at time of flight.